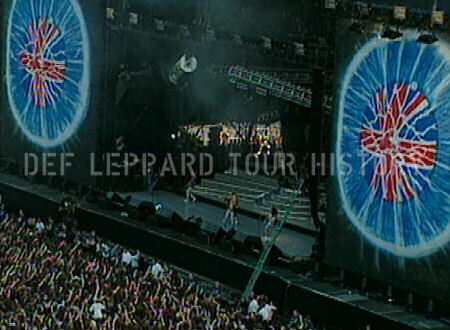 Def Leppard played a homecoming show at Don Valley Stadium in Sheffield, England on 6th June 1993. The only UK date played on the 1993 Adrenalize European tour was also the first at the stadium with over 40,000 people in attendance. Ugly Kid Joe, Thunder and Terrorvision were also on the bill. It was the biggest UK headline show the band had played and was filmed for the 'Visualize' and 'Video Archive' compilation releases. 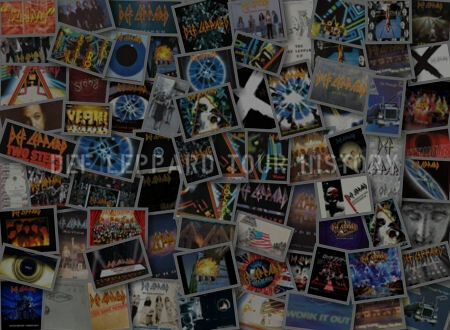 Audio tracks were also released as B Sides on various singles. The show was aired by BBC Radio 1 the following weekend in a 90 minute concert special. Joe had announced the show on 5th April 1993 live on the same radio station from the stadium just ahead of the European Adrenalize tour. 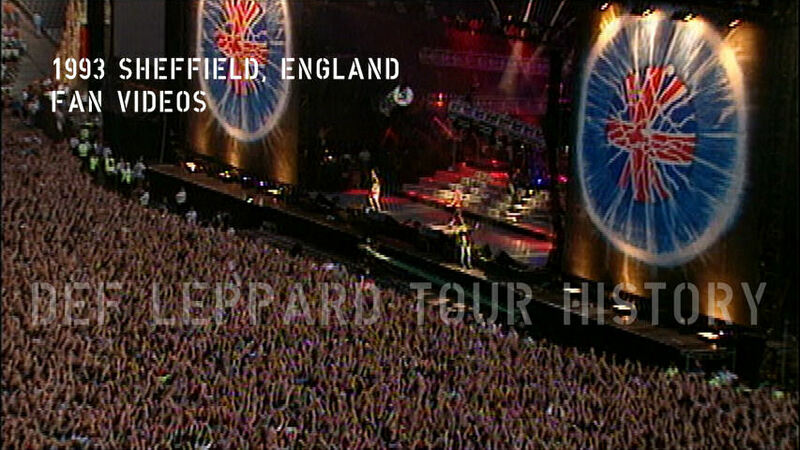 Footage was also used in two concert specials broadcast on UK and Japanese TV. The Japanese version has been posted a YouTube and can be viewed via the links below. It featured five songs not used on 'Visualize/Video Archive'. 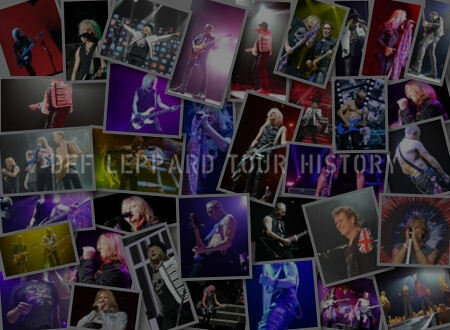 Joe mentioned in May 2006 that the band were going to release the full show on a DVD with new 5.1 Surround Sound but the new version remains unreleased. This is possibly due to the ongoing dispute with Universal Records. 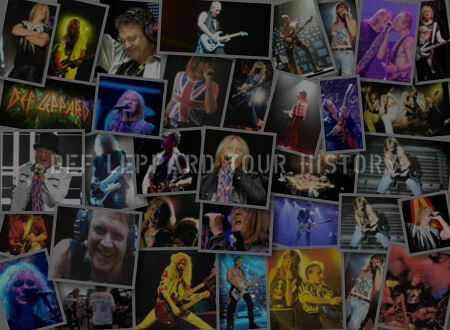 The band have stated many times since that it was probably their best ever show and one of their proudest moments as a band. 'Two Steps Behind' was played for the very first time at a full concert. It remains their only headline UK stadium show. Sadly the stadium was demolished starting in September 2013 with the work almost completed by March of 2014. The band did go on to headline the Download Festival at Donington Park twice in 2009 and 2011 playing to a larger crowd of 80,000 fans. 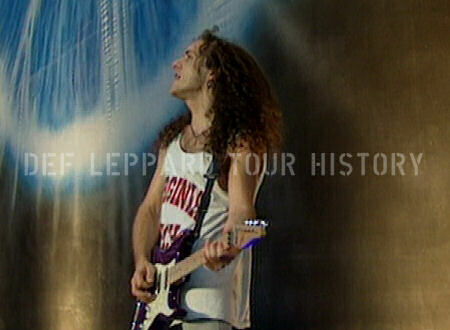 Those shows were played on large fields so not technically stadium shows but the closest they have been since 1993. Below are some quotes from the band about the concert mostly taken from interviews conducted in October 1995 when they returned to Sheffield to play The Wapentake. And some photos from Gettyimages. 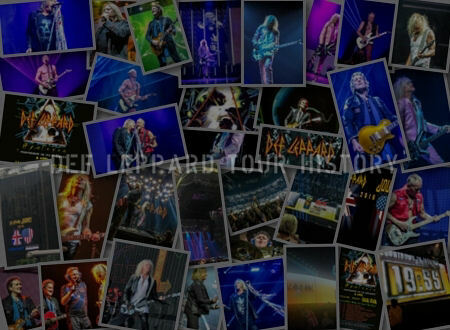 View a gallery of photos on the show page. "Playing Don Valley Stadium - we were the first ever band to play our home town, a brand new stadium in our home town we played to nearly 50,000 people in 1993. Playing your home town is just an amazing feeling when you do that. It was an amazing moment, when you walk on stage and your entire career flashes before your eyes." "Until next time. And there will be a next time!. Don't forget us cause we'll definitely never forget you lot really. Goodnight!." "It was really big I guess it sort of meant a lot more to the other lads being from Sheffield but for me it was a big show and it was a very warm feeling and that translated all the way up on stage." 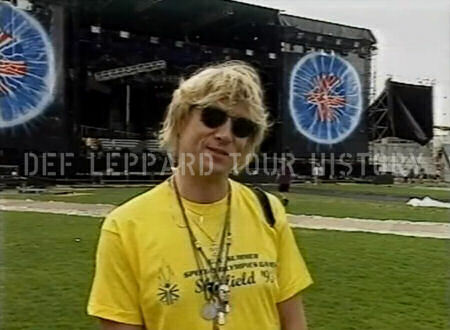 "Don Valley was a very special day for the band I think and just seeing like thousands of people that had all just come to see Def Leppard basically was just a very special moment so I'll never forget it." "People are telling you that you're doing this gig and there's so many tickets sold but until you actually get out on that stage and just see the wall of heads and I think they all came to see us and it was great." "I was pretty overwhelmed by the whole thing I must admit. The fact that there was so many people that I knew in the audience or backstage or whatever and they were all really rooting for us really gave me a sense that we'd really sort of made it. I mean it was probably one of the most memorable occasions I can remember to date." "There's ambitions you have as a band. We've always wanted to play a stadium in England and you know we kind of fulfilled an ambition. You know the fact that we'd reached that level in England where they didn't really accept us at first was really comforting and very cool."